MANILA -- Despite the rants of Communist Party of the Philippines (CPP) founding chair Jose Maria "Joma" Sison against the localized peace talks, this approach seems to be working well as the number of New People's Army (NPA) fighters and supporters who have surrendered to government forces since last year continue to rise. "Alam po ninyo, nakakatawang, nakakainis na nakakaawa ano po si Ginoong Sison sapagkat lahat po yan ay sinasabi nya, sabi nya pagsasayang lang daw po ng panahon, pagsasayang daw po iyan ng pondong bayan, ang ginagawang peace negotiation na iyan sa local, sapagkat iyan daw po ay hindi magtatagumpay. Alam po niya na nagtatagumpay kaya nga po ganyan ang kanyang ginagawa at patuloy niyang sinisiraan ‘yang programang iyan (You know, it's funny, annoying and pitiful to hear Mr. Sison because he always say that local peace talks are just a waste of time and people's money because it won't succeed. The mere fact that he continues to speak ill of this kind of peace negotiation just shows that this is bearing fruits)," Armed Forces of the Philippines (AFP) spokesperson, Brig. Gen. Edgard Arevalo, said in an interview over DWIZ radio Sunday. "Pero ang mga numero ay hindi magsisinungaling, sabi nga natin lampas nang labing-isang libo ang sumuko umpisa pa lamang ng January of 2018 (The numbers do not lie. As we have said, over 11,000 of their comrades have surrendered since January of 2018)," he added. Also, Arevalo added that for the first three months of 2019, around 600 NPA fighters and supporters have voluntarily surrendered to government troops. "So ibig sabihin nararamdaman niya na malapit na ang pagtatapos ng kanilang grupo (it only means he is starting to feel that their group is about to crumble)," he disclosed. “They have realized that they have been deceived and have descended from their mountain hideouts to rejoin their families, avail of government benefits, and live normal lives,” the AFP spokesperson said. Government efforts to aid rebels and supporters who surrender are contained in the government's Enhanced Comprehensive Local Integration Program (E-CLIP). AFP deputy chief-of-staff for civil-military operations, Brig. 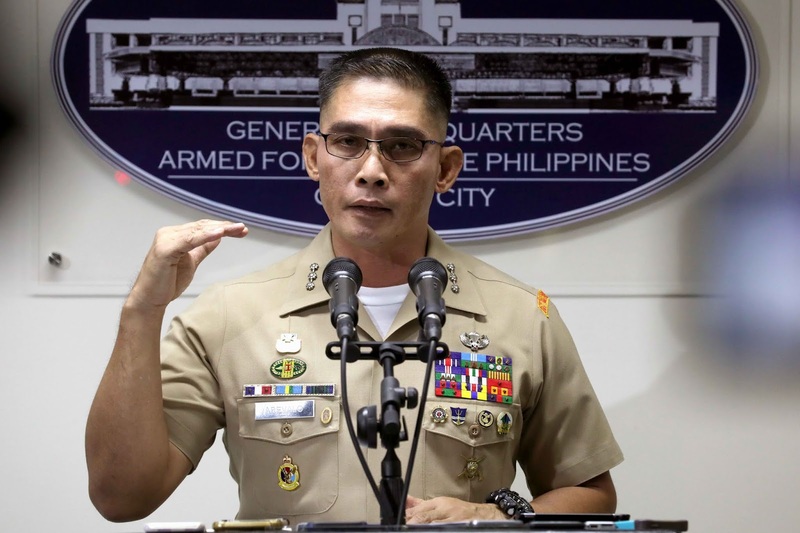 Gen. Antonio Parlade Jr., earlier said the government is ready to finally end the communist threat through Executive Order 70 (EO 70) signed by President Rodrigo Duterte on December 4, 2018. EO 70 provides for a whole-of-nation approach in defeating the local communist terrorist groups. “The NTF-ELCAC will finish this terrorist menace once and for all, and with that comes real government service, not tokenism, livelihood for the poorest especially in conflict-affected areas, legal action for those who support this terrorist group, an entire bureaucratic convergence to address issues exploited by dissidents and a determined leadership. With President Duterte himself leading the charge, how can we go wrong?” Parlade said.